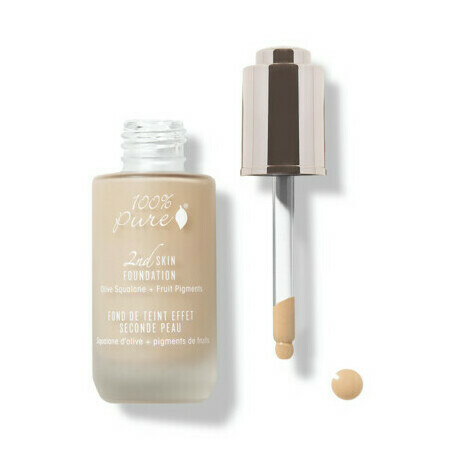 This 100% Pure 2nd Skin Foundation with Olive Squalane + Fruit Pigments in Shade 2 is ideal for light skin with a warm undertone and gives medium coverage with a natural, satin finish. With Olive Squalane, which is rich in antioxidants and mimics the texture of skin, this Titanium Dioxide free foundation helps to plump, rehydrate and protect the skin from premature ageing, and leave it feeling soft and supple. 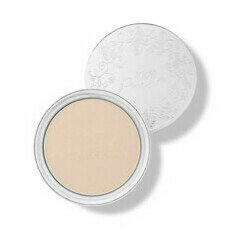 Weightless and silky, it glides on effortlessly and can be reapplied to build the desired level of coverage. Containing colour derived from pure, natural fruit pigments, such as Apricot and Pomegranate, plus Vitamin E to promote cell renewal, this 100% Pure 2nd Skin Foundation is designed to be undetectable as it helps to diminish the appearance of fine lines and wrinkles, and improve skin tone and texture. In a consumer study*, 97% of participants agreed that their skin appeared softer and smoother after using 2nd Skin Foundation. Please be aware that it is important to shake the bottle well before applying, in order to combine the olive squalane and fruit pigments. Made in California. 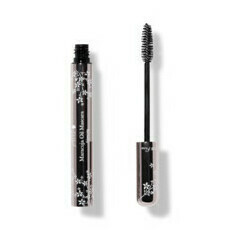 Vegan and Certified Cruelty-free by both Peta and Leaping Bunny. Printed with biodegradable soy ink. *Consumer study conducted by 100% Pure. Black Tea, Cacao, Calendula, Lavender, Olive Squalane, Pomegranate, Raspberry, Vitamin E.
Shake well before use. With pipette, dispense three to four drops onto back of hand and use fingertips, brush or sponge to apply evenly over face. Blend from the center of the face outwards. Can be re-applied as necessary to build desired coverage. I loved the texture and the finish and how it wears throughout the day. HOWEVER, the biggest flaw was that it made me break out quite badly. I think it was the olive squalane that may have caused the break outs. Also, this shade was way too dark and orange for me (usually im a shade between creme and white peach in 100% pure foundations). It’s a shame because the foundation itself feels just like its name. Low coverage and too oily for my liking. 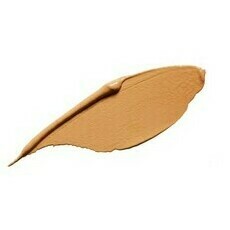 Looks super beautiful on skin with a very smooth natural finish. 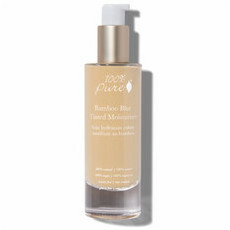 I use this with a 100% Pure primer and Bamboo Blur powder. It has stopped my extreme oily skin throughout the day. Best foundation to ever happen to my skin. I would recommend this for oily sensitive skin that is irritated by chemicals in other foundations.